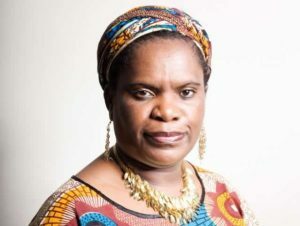 Muzvare Betty Makoni witnessed the launch of a Preventing Sexual Violence Protocol. She has pleasant memories when she spoke at meeting for G8 at Foreign Office as a gender based violence expert.She also spoke on International Women`s day during an event to raise awareness for the diplomatic missions based in London. Both high profile speaking events made impact. Her contributions are acknowledged. Served as the Stephen Lewis Foundation representative in Africa, which offers monitoring and evaluation consultancy services to more than 165 grantee partners in Africa prior to and after funding. Member of Oxfam Novib Round Table, 2007 to 2010, advising on gender based violence policy. Co-founder member of Africa Gender Monitor based in South Africa, which monitors how governments implement various international legal instruments such as the AU Protocol on women’s rights, CEDAW and the SADC Gender Protocol. In partnership with Oxfam Intermon, spearheaded the sexual violence in war torn Sudan I have facilitated the establishment of the Women Empowerment Group in Sudan. Trainer for UK Based FORWARD with nine partners in six African countries that have adopted the Girl Child Empowerment Model. In 2006, Gerude Private Limited, in Zimbabwe subcontracted me who by then was working under Muzvare Betty Makoni Consultancy Services to facilitate a national gender mainstreaming assessment and training for over 40 artists groups in Zimbabwe. This project was funded by the Swedish International Development Agency (SIDA). Since then there has been great success on gender sensitive quality production of music, drama and television programs by Zimbabwe’s Top artists and groups. Facilitator at NPA, Southern African Regional Conference on Violence against Women Thematic Group. Johannesburg, South Africa, May 2006. Facilitator at Gender, HIV/AIDS and Human Rights Awareness Workshop for artists. SIDA-funded CRAZZI Project, subcontracted by Gerude Pvt Limited. Mandel Training Centre (June 2006).